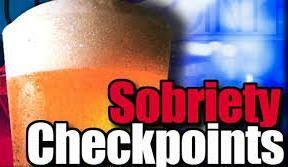 The Missouri Supreme Court is considering a challenge to procedures during drunk driving stops. A report from Missourinet says state attorney Michael Martinich-Sauter told the judges the Implied Consent Warning, which stipulates that a license will be “immediately” revoked upon refusal to take the breath test, sends a clear message to drivers. Attorney Nathan Swan, who represents an eastern Missouri man convicted of DWI, says his client only consented to the test out of fear of losing his license. Swan also says the process is only fair if drivers are made aware of all their options and argues that drivers should be told about the consequences for both refusing and agreeing to a breath test, which the state contends would be confusing.